More penguins and augmented reality - Retail technology – what’s hot? The virtual flightless birds will emerge from ice holes in the floor at Broadway Shopping Centre via shoppers’ smart phones and tablets after they have downloaded a Santa mobile application. 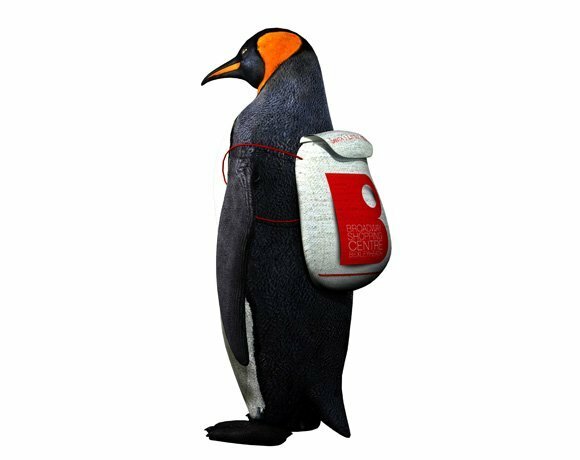 After downloading the app, shoppers will follow virtual signposts to the shopping centre from half a mile away, the penguins will pop up wearing Broadway rucksacks on their backs and lead families to Santa’s Grotto. Peter Sedge, Broadway Centre manager, said: “The project has been months in development so it is exciting to see it all come to fruition and I am not sure anyone else in the country could claim such a unique and spell-binding way of leading people to their grotto. The company behind the Broadway augmented reality project, Harmony, have worked with big brand clients such as Bentley, British Airways, Unilever and GlaxoSmithKline (GSK) to find ways of bringing their products, services and training methods to life. Kieran Sawyer, lead augmented reality designer for Harmony, said: “Our designers have been studying wildlife videos to ensure the Broadway penguins move in the same way as the real life birds because it is all about daring people to believe what is in front of them on their smart device so it has to be as realistic as possible.